When a plant goes into mothballs—especially because of poor economics—it’s often a harbinger of impending retirement. Upgrades to improve performance may help, but in changing markets, returns can be highly uncertain. 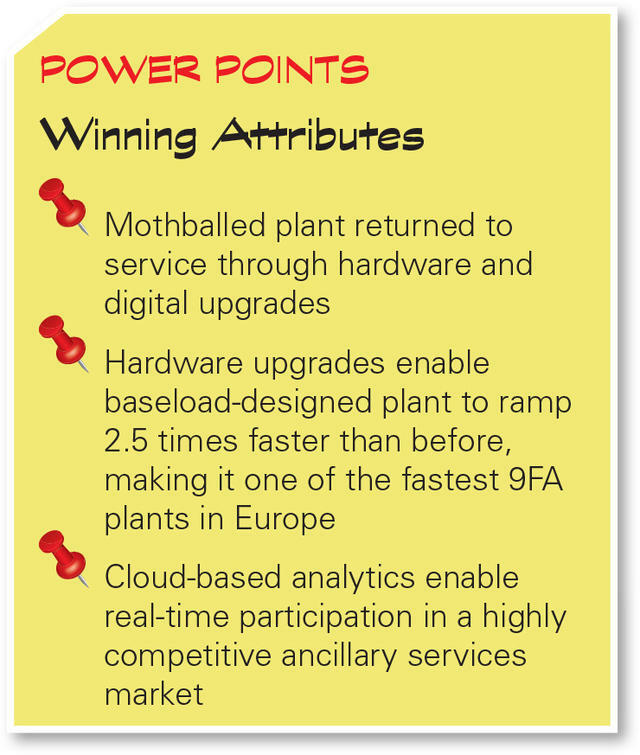 Italian energy firm A2A partnered with GE to return one plant to profitability with a combination of hardware improvements and cloud-based analytics. It’s not often that POWER gives an award to a plant that had to shut down because it became uneconomic. But that’s exactly what we’re doing with this one. Like many areas elsewhere in Europe, the power market in northern Italy has undergone enormous changes over the past few decades. Nationalized after World War II, the Italian power sector operated as state-run monopoly ENEL (an Italian acronym for National Entity for Electricity and, later, just Enel) for nearly 40 years. The original Chivasso power plant was built as a coal- and fuel oil–fired facility in the early 1950s. For several decades, it supported the rapidly growing industrial base—particularly Italy’s automotive sector—in the area as Turin became one of the economic engines of the nation in the post-war period. 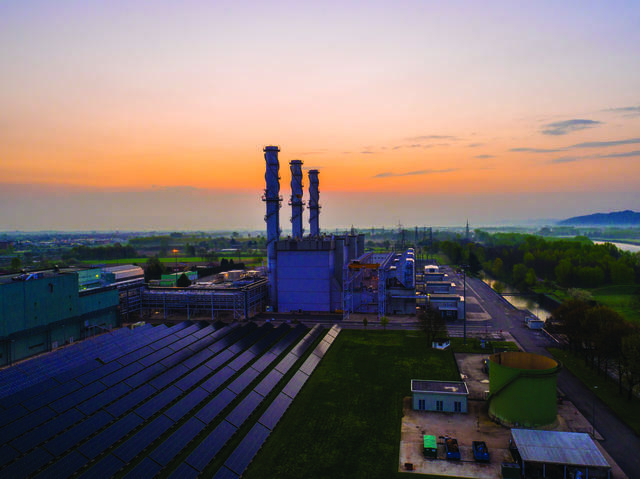 Near the turn of the millennium, Enel began looking at upgrading the aging plant, replacing the thermal boilers with a modern three-unit combined cycle plant (which also incorporated district heating). Construction began in 2002, and the new plant between the left bank of the River Po and the entrance of the Cavour Canal came online two years later. By then, however, the once-modern plant found itself in a vastly changed market. Enormous growth in renewable generation and a high-voltage line importing power from France brought new, challenging competition. Chivasso, designed for baseload generation, was unable to ramp quickly enough to operate in the new market. Newer, more flexible plants were taking market share. Chivasso was losing money, and there was no guarantee that upgrades would make any difference. In December 2013, Edipower announced that it was putting Chivasso into mothballs at least through 2014—and perhaps indefinitely. The plant’s 50 workers and the customers nearby who depended on its district heating capacity were left in limbo. A2A was not ready to give up on Chivasso, but solving the challenge of its economics was not simple. Upgrades would be expensive, and even if the plant could be made profitable, margins would likely be thin. 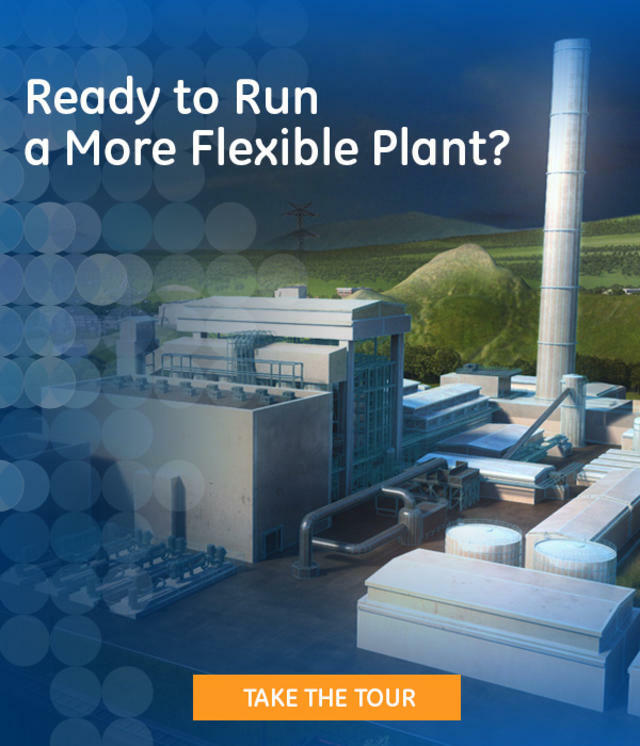 Rapid ramping of the existing plant meant a change in its emissions profile, but achieving the lowest emissions-compliant load level was critical if an upgraded plant was to succeed. Threading this needle would take planning, skill, and care. The company turned to GE, which had been a supplier for Chivasso from its earliest days in the 1950s through the new plant in the 2000s (Figure 1). GE’s European Power Services division began with a detailed analysis of the market conditions and what could be done to improve Chivasso and make it competitive again. Mario Cincotta, one of the GE managers on the project, laid out the challenge: “If you are losing money, you don’t want to invest more if you have no clue whether you are ever going to get it back." The team first looked at upgrading the existing 9FA turbines with GE’s OpFlex Dry Low NOx 2.6+ combustion hardware and control system and new boilers from its legacy Alstom division, a package GE had designed to help older plants like Chivasso. Then came the bad news: Analysis of market data showed that even with all the hardware upgrades, the plant would still fall short. The newer plants nearby would still beat it in the market. More would be needed if Chivasso were ever going to start up again. Analysis of this package of upgrades showed that the Chivasso plant would be able to compete and earn enough revenue in the ancillary services market to justify renewed operations. It would be able to ramp 2.5 times faster than before—50 MW per minute—and operate at 65 MW minimum load, ranking it among the best performers in GE’s 9FA fleet. A2A opted to upgrade two of the existing turbines according to the GE plan (the third remains mothballed for now). The upgrade work was completed in November 2015, and A2A returned the plant to service. Since then, Chivasso has logged thousands of hours of operation, vindicating the decision to bring the plant out of mothballs and commit to the upgrades. In addition to its return to profitability, Chivasso’s emissions of NOx and CO were cut by half. A video of the project can be viewed below. 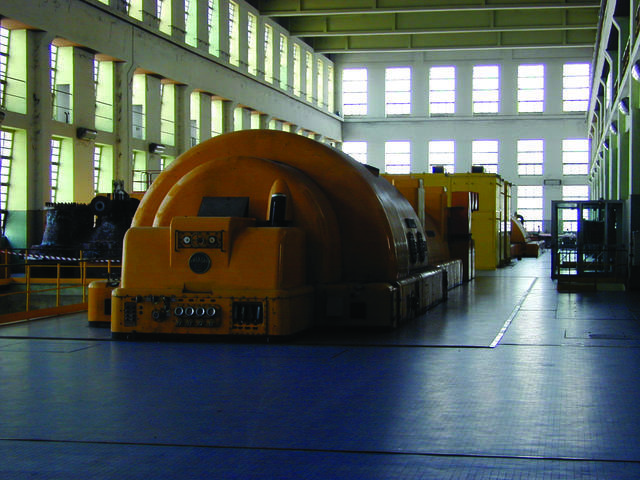 A2A and GE installed the OpFlex upgrades at two other combined cycle plants in northern Italy, on a total of nine 9FA turbines. Using the cloud-based software system, A2A is now able to achieve better plant performance across its fleet, not just on the GE equipment but across different manufacturers, configurations, and thermal cycles. The technology gives the company better enterprise data visibility at Chivasso and its other plants, providing a big picture understanding of how best to boost output, reduce emissions, lower costs, and improve reliability.